RecordOil Non-Detergent Motor Oils are manufactured with 100% virgin base oil and fortified with an anti-foaming additive for extra engine lubrication at an economical price. 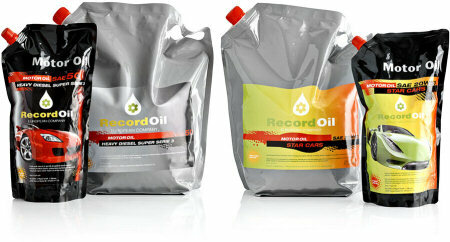 RecordOil Detergent and Premium Motor Oils are available in mono-grade and multi-grade viscosity. They are highly refined general purpose oils for gasoline and diesel engines. The multi-grade products are manufactured with a select blend of virgin base oils combined with a premium viscosity index modifier to assure easier starts in cold weather and to protect against oil thinning in hot climates. These economical but durable lubricants are ideal for automotive and truck engines (gasoline and diesel) manufactured anywhere in the world.